By Jake Rocheleau in Toolkit. Updated on July 10, 2018 . 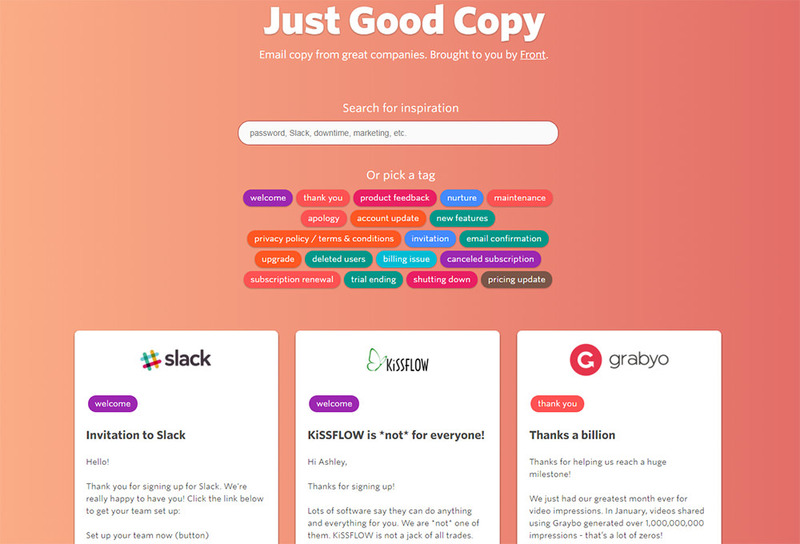 If you’re struggling with ideas for engaging email copy then check out Good Copy. It’s a huge online gallery of real email newsletters organized by top companies and relevant categories. Looking for ideas for your abandoned cart email? What about content for a simple confirmation email? It’s all here in this comprehensive gallery with plenty of great examples to dig through. Read Also: Communication Blunders – Are You Making These 3 Marketing Mistakes? One thing I really like about this site is the massive variety. You can search pretty much anything and find at least one example. Now at the same time, I really don’t like the default layout. It uses a card-style layout which organizes the emails into columns and rows. Generally, this is fine because you can still browse through and find exactly what you’re looking for. But since this is mostly about copywriting there aren’t many visuals, which makes it tough to skim at a glance. 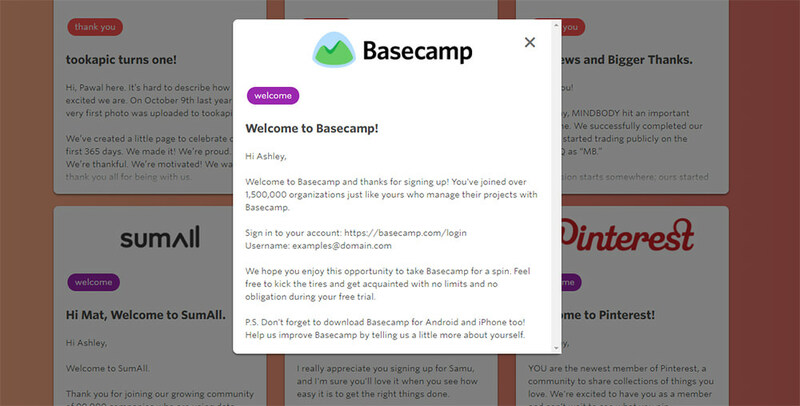 If you click any of the examples you’ll be greeted with a clean modal window. This contains the full written copy of the email with headings included. However this website does strip all images and formatting, so you can’t actually see the original email design. I was really hoping this would include the full design somewhere. It helps to see how the copy looks in its final form. But the goal of Good Copy is to strip down everything to raw text. This way you can see how email copy will look when you’re writing it into a blank Word doc. If you’re trying to improve your email marketing efforts then your written copy is one place to start. And with Good Copy you have an entire library of content inspiration at your disposal.